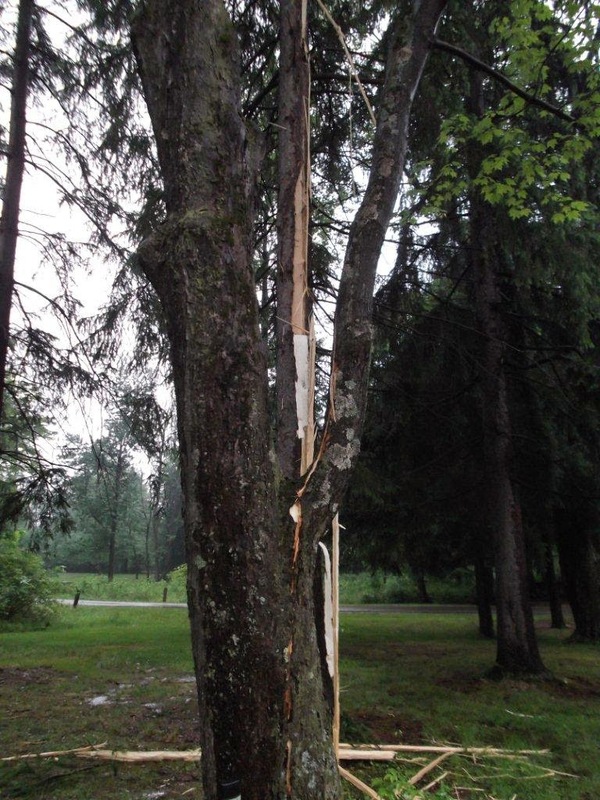 Here are a few more shots of the lightning strike that hit the campsite my in-laws were on the day before. 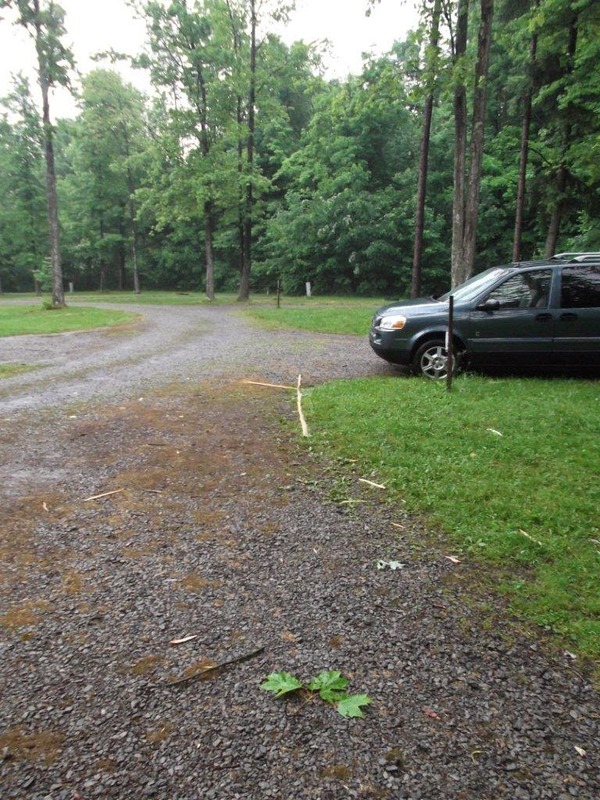 A piece of splintered wood actually landed where our van had been parked several times throughout the weeknend. 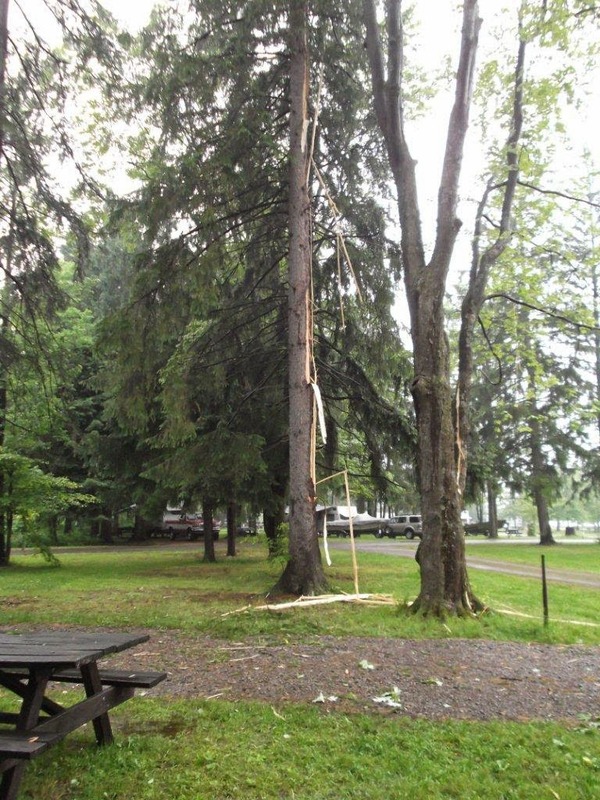 Just to the left of the struck tree is where my mother-in-law's tent was set up. 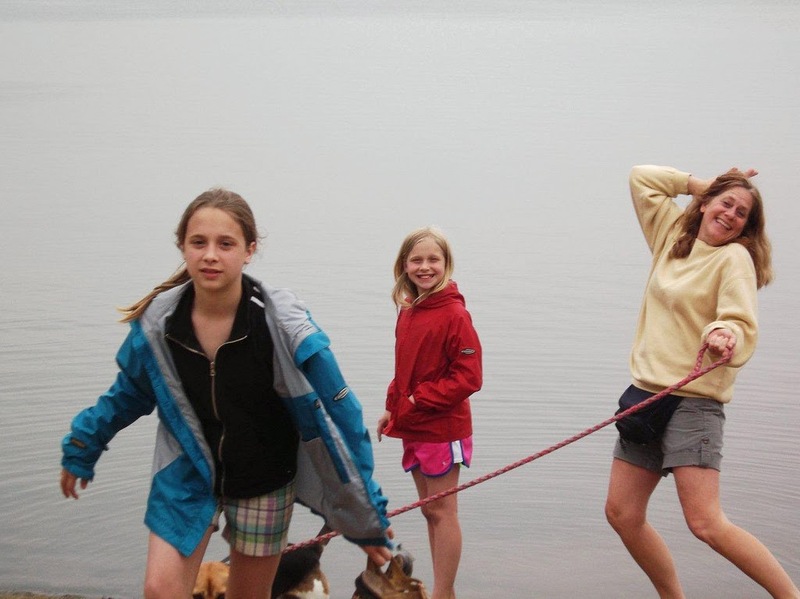 Here Bridget and Lori pose for a picture and Bethany avoids contact with the camera lense, but is tad slow to move. 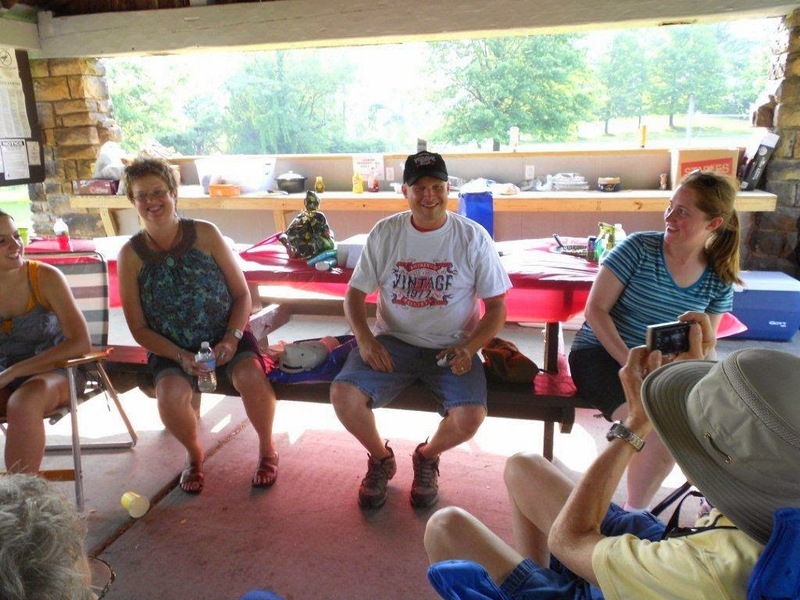 Brenda surprised me at camp with party for my 40th birthday. It was awesome to see friends and family. I still don't care for surprises, but it was nice.